Essential Cyprus has handpicked just a handful of luxury hotels and resorts to give a taster of the facilities and accommodation available in Northern Cyprus. With the growth in the hotel sector there are plenty to choose from, so this article will just give you a taster of what kind of luxury accommodation to expect. 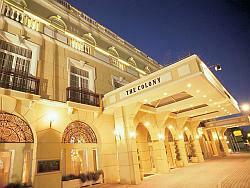 The palatial and truly stunning Colony Hotel makes its visual mark on the town of Kyrenia immediately! Its prime location at the top of the high street at its northern end makes it one of the most popular hotels for travelling businessmen and those who prefer to stay in the more upmarket hotels when in North Cyprus. The Colony is well known for its high return of guests every time they come to the island. The Colony, built in a sophisticated colonial style funnily enough, claims to be the only five star hotel in the town to achieve truly international standards…it is certainly one of the finest luxury hotels in the whole of Northern Cyprus incorporating the utmost in taste and class. Elegantly decorated, the bedrooms and suites afford residents the ultimate in luxury lifestyle with all mod cons and room service at the press of a button. The hotel boasts many other luxury facilities including restaurants, bars, spa, gym, wellness centre, rooftop pool and much more, but we will let you see for yourself! Located directly on the coastal promenade, but in a nonetheless quiet ‘kordonboyu’ area of the old harbour town of Kyrenia, is the Rocks Hotel. This luxury five star hotel has been finished with the utmost attention to detail, no expense spared, finest quality fixture, fittings and furnishings. Residents and non-residents are free to take advantage of the first class restaurants and bars including La Habanera, the live music jazz bar. Here some of the finest jazz musicians from around the world are regularly invited to perform. It is an ideal location for meetings, banquets, weddings, conferences and is a regular venue for the Kyrenia Jazz Festival. 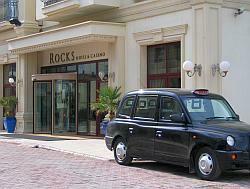 The accommodation and service offered to guests is definitely five star, and The Rocks Hotel is also home to the beautiful Rocks pool area and Laguna Bar, the Rocks Casino – yet another classy establishment – together with Roxanne’s Bar and Grill – that completes the Rocks Hotel luxury line-up. The Merit Crystal Cove luxury five star resort is located just 10km from Kyrenia and positioned on its own private bay, overlooking its own exclusive beach. This magnificent resort offers its guests the ultimate in all inclusive luxury. With 32 acres of gardens, health club, fitness centre, casino, swimming pools, bars, restaurants and conference facilities, guests at the Merit Crystal Cove will want for nothing. The hotel offers memorable luxury accommodation and entertainment, first class dining and night life with the most incredible mountain and sea views which one can truly say are uninterrupted and unrivalled. This 5 star gem is the latest addition to the sophisticated luxury hotel market on the island and is based just off Kyrenia high street to the eastern end. Built with an Ottoman theme in mind, the hotel’s architecture is stunning and inside is teeming with luxury design features and opulent furnishings, making it feel exactly like a palace. Accommodation is luxuriant to say the least, complete with a range suites fit for sultans, where no expense has been spared in creating style and elegance. You can relax and unwind in true style, with two international restaurants run by award winning chefs, perhaps take a Turkish bath, visit the spa or just relax in your suite with room service at your beck and call. Its unique style and design make this hotel one which should definitely tempt those eager to try somewhere a little different. 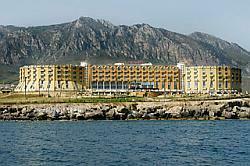 A modern 5 star hotel with a unique design based on the Kyrenia Castle, this large hotel is located on the coast to the east of the town. 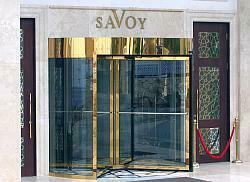 It offers guests all there is to be had in the luxury stakes and is decorated and furnished to high standards. The Mercure’s king suites allows for private dining for your own guests with butlered service available. The well equipped spa offers guests luxurious treatments as well as an indoor pool, Jacuzzi and sauna. There are two large outdoor pools, and with several international restaurants located within the hotel you will be spoilt for choice for dining experiences. 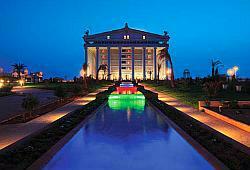 It’s an ideal hotel for professional functions such as conferences, weddings and other events. This huge 5 star complex located on the south eastern coastal region north of Famagusta will not fail to take your breath away on first sight. It’s built, themed and designed on Greek mythology, Artemis being the virgin goddess of the hunt and the Moon; daughter of Leto and twin sister of Apollo. Opulence is the major word for this resort, offering the largest room capacity in North Cyprus, with Greek statues and columns featuring heavily in the luxurious external gardens. Kaya Artemis offers several luxury standards of accommodation including suites and individual villas to suit your tastes; it has its own shopping centre, several indoor and outdoor pools, wellness spa and beauty parlour, and the hotel has its own exclusive beach area. 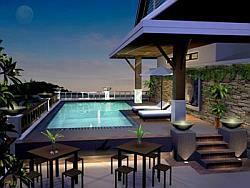 A trip to this area and the Kaya Artemis resort is bound to relax and inspire you. 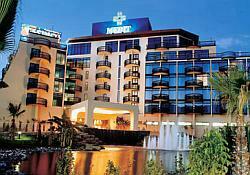 That concludes our choice of the luxury hotels in North Cyprus, but there are more for you to try so take your pick! If you are looking for family hotels, boutique hotels, budget hotels, business or spa hotels then please click on any of the links.